Instead of going after celebrities to present at your next conference, highlight some stars amongst your attendees with a Pecha Kucha session! Pecha Kucha is a dynamic presentation format that has spread globally since its invention in Japan in 2003. Think of it as a haiku for presentations. Twenty slides automatically advance, each shown for twenty seconds, while the presenter shares his or her passion about a topic. Because each presentation lasts just 6 minutes and 40 seconds, presenters are challenged to be concise, targeted, and creative—and you can pack eight attendee presentations into an hour-long conference session. O.K., glad to have cleared that up. You can also incorporate Pecha Kucha into a social event at your conference by scheduling your presentations during an evening social, with food and drink available while the presentations go on. 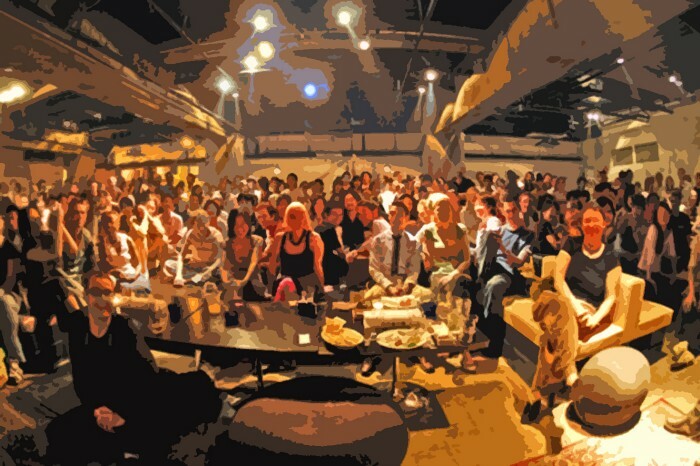 This is the format used at Pecha Kucha Nights, held in hundreds of cities all over the world four or more times a year. send them a presentation template. Have them send their presentations to you before the session. On the day, you’ll need an appropriately sized location with presentation-friendly lighting, a wireless mike and sound system, a schedule, and a screen, projector and laptop running PowerPoint or Keynote. Add an MC and a staffer for the laptop and you’re ready to go! I’m a big fan of Pecha Kucha as a way for people to connect and learn in a fun, fast-paced environment. I’ve just signed a contract to run Brattleboro Pecha Kucha Night, and we’re working on holding a Pecha Kucha session at Event Camp Twin Cities this fall. Want to learn more? Check out the hundreds of presentations available on the official Pecha Kucha website. (I especially like this one by Daniel Pink on Emotionally Intelligent Signage.) I also recommend you attend a nearby Pecha Kucha Night to experience the format firsthand. You’ll see how Pecha Kucha can liven up any conference. Have you used or experienced a Pecha Kucha session? How did it work out for you and/or the attendees? Anyone who is interested in Conference Events follow this man, @ASegar and read his books! !